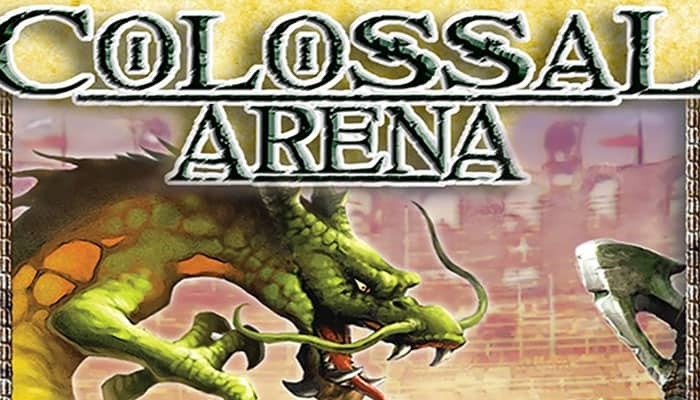 Colossal Arena/Titan: This is a strategic card game for 2 to 5 players: you play, not as combatants, but as spectators, cheering and betting on the melee ongoing in a fantasy arena/colosseum in which fantasy creatures are pitted against each other in battle! Each round one of the creatures will die. To decide which unlucky soul will be the victim, players put numbered power cards in front of the creatures, with the lowest one going to the graveyard. The jockeying for position and strategic diplomacy in playing the numbered power cards can be intense - but what makes this game even more interesting is that the players' place bets throughout the game which will sometimes allow them to use a creature's special power in battle! The winner at the end of the game is the bettor who's raked in the most winnings - just another day in the life of a fantasy monster gambler. 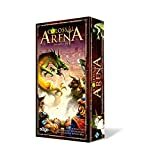 Titan: The Arena is actually a reworking of a Reiner Knizia game called Grand National Derby, but Avalon Hill's remake was quite significant from a gameplay standpoint. The Titan: The Arena printing is often confused with its namesake, Titan. But other than the fact that they both use fantasy creatures as a general theme, there is very little that is similar between the two. 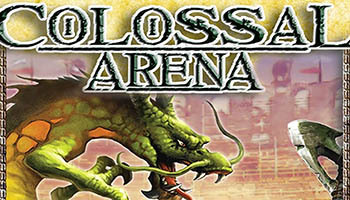 Welcome to the Colossal Arena! Today, for your amusement, eight fierce creatures will battle each other in a five round tournament. You have come to the arena to wager your hard-earned gold on these gladiators in the hopes of winning a fortune. Bet early and bet often to back your favorite creature, because wagers are worth less and less as the competitors are eliminated. In the end, only three creatures will survive...will they be the ones you backed? When you activate the Amazon's special power, you may choose to draw 3 cards (no more, no less) from the draw deck and add them to your hand. If you draw the last card in the draw deck by activating this power, the game immediately ends.